Security today is more important than ever. Most people I know have online accounts at a bunch of different social networks or online retailers. Some of these websites require personal information and some don't. But every new website you create an account for increases your vunerability to being hacked. So, as web developers, we need to make security a priority during development. It doesn't matter if it's a mobile app, API or a client-side application. Security needs to always be taken into consideration. Security is not only incredibly important today, but it's also easier to implement today than it was years ago. Developers have huge amounts of resources available to be able to learn about the most recent security standards and techniques, and most all of these techniques have been tested and proven. So, there isn't any good reason that a website should be lacking with its security. There are many security concepts and techniques that exist, but I want to talk about JSON web tokens. What are JSON Web Tokens, You Say? JSON web tokens are a way to authenticate an API request. Each JSON web token is digitally signed, so JSON can be sent between clients securely. A JSON web token is made up of three parts -- header, payload and signature -- and looks like xxxxxx.yyyyyy.zzzzzz. They are very compact and can also contain necessary information in its payload, so you won't need to query a database as much as you normally would. JSON web tokens are stateless, so it is simpler for the server to authenticate API requests. Let's see how we can use JSON web tokens in the real world. In this first example, we are going to use JSON web tokens to authenticate the API request after a user has logged in. This is the most common situation where we at projekt202 use JSON web tokens. Note that all examples use Node and expressjs on the server. We need to require jsonwebtoken and the crypto library at the top of our file. The crypto library is built into Node, so it's already on your computer. The default algorithm used when creating the token is HS256. We want to replace that with HS512 for increased security. We also want to set an expiration time so that keys cannot live forever. In this situation, we are going to set the expiresIn to 5 minutes, but we have to give the time in seconds to the function. We are also using this to limit the amount of time a user can be logged in. After the token is created, you want to send that token in the response header back to the client making the API request. Every API request will have the token in the header to verify the request. You will verify the token, then, if valid, create a new token and send it back to client to save for the next request. Using expresses, we can do this with middleware. Read more about expressjs middleware here. This is a simple version that we use to authenticate users. I encourage you to customize this to your needs and read more about JSON web tokens. A good place to start is jwt.io. The site has more information and a way to test your tokens. Look for another article in the near future on how to use JSON web tokens to authenticate application access to your API. Stay up-to-date on projekt202 news, events and upcoming articles. Follow us on LinkedIn, Twitter, Facebook,YouTube and Instagram. Bringing UX Issues to Light in New "Expose UX"
projekt202's Senior UX Designer Chelsea Maxwell and Vice President of Customer Experience Jeremy Johnson share their expertise in an illuminating new episode of "Expose UX," a TV show devoted to identifying user experience (UX) issues and solutions. The latest episode shines a spotlight on Openbrite, whose modular LEDgoes products allow businesses to create programmable LED marquee displays of any size, shape, color and speed. However, its creators are struggling to clearly pinpoint their key audiences. Along with fellow UX expert James Helms, Chelsea and Jeremy open up with their own bright advice on the importance of targeting exact users. Watch the new episode now. Some of projekt202's Thought Leaders -- representing key areas such as User Experience (UX) Design, Technology, and Experience Strategy, among many others -- broadcast their expertise in solving complex challenges facing today's businesses. Their presentations were recorded this week as part of projekt202's new Thought Leadership series. The videos showcase the experts behind projekt202's methodology and holistic approach to experience-driven application development. Solutions Architect Ben Bays hits his mark for his recording session, as Vice President of Customer Experience Jeremy Johnson looks on. 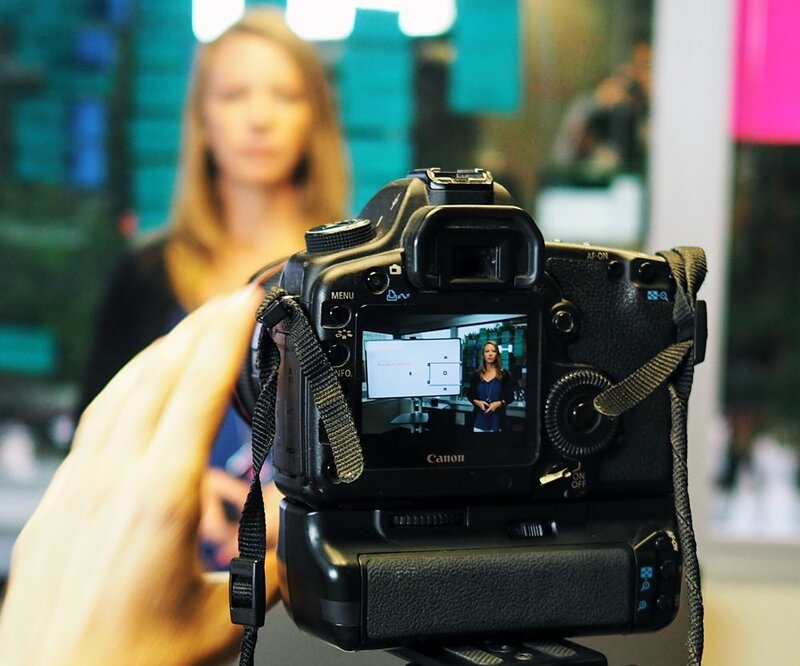 Senior Experience Strategist Shannon Graf is one of the Thought Leaders in projekt202's new video series. Bringing focus to the ways projekt202 leads in experience-driven application development. Assembling a great design isn't child's play. 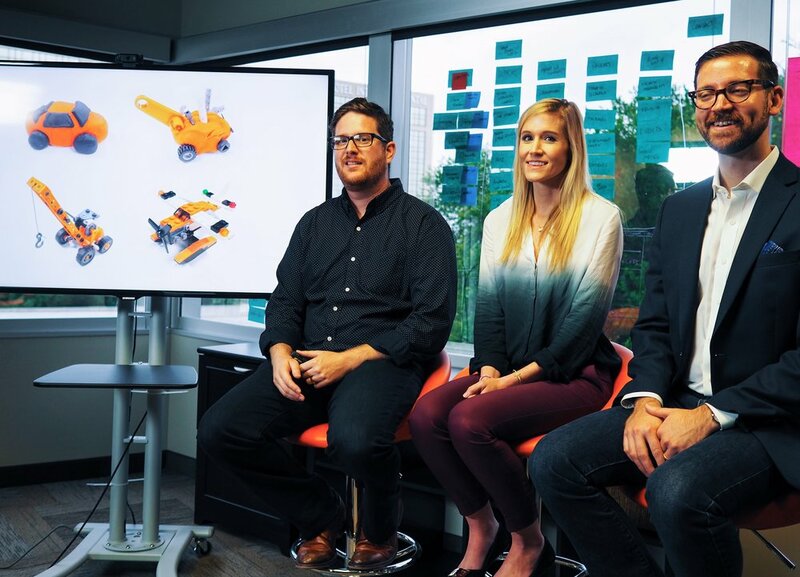 Senior UX Designer Josh Christopher, UX Designer Anne Grundhoefer and Solutions Architect Drew Loomer share their creativity in helping companies deliver better solutions for customers. 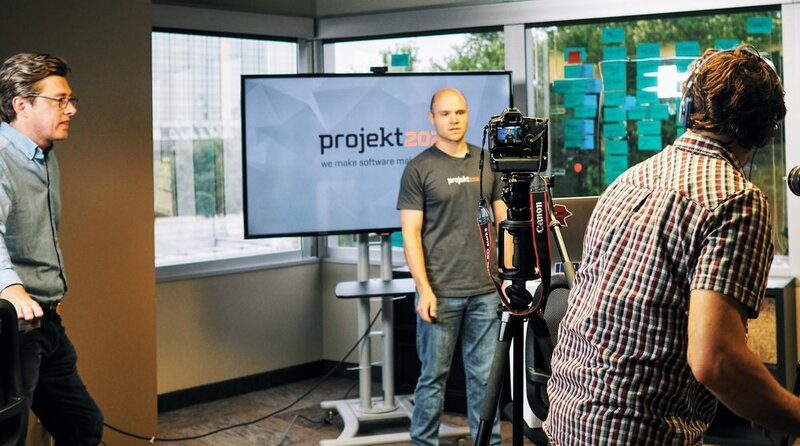 Learn more about what we do at projekt202. In the world of UX design, what are three key areas primed for real change? In this podcast with projekt202′s Vice President of User Experience, Mike Blakesley looks at the present and future states of the industry, and discusses significant UX opportunities to leverage in the remainder of the year and into the next. Follow us on LinkedIn, Twitter, Facebook and Instagram to stay up-to-date on projekt202 news. "It's going to tie directly back to what we're designing, building, taking into market and driving revenue streams with." How are companies missing out if they fail to employ user-experience (UX) strategies and what impact does this approach have on their bottom lines? In this conversation with projekt202's Chairman and CEO, David Lancashire shares the real-world ROI of user experience, his advice to skeptics about embracing UX, and his predictions on the resources that companies will invest in and adopt in coming years. What was your user experience "aha!" moment? That was the question put to North Texas technology leaders, including projekt202 Chairman and CEO David Lancashire, at Celebrate UX on May 12. The networking event for Dallas' technology, design and business communities was hosted by producers of the TV show "Expose UX." David shared his UX story of meeting projekt202 Co-Founder Peter Eckert. "Peter talked about the programmatic methodology he'd been working on since 2003, a repeatable framework to gain customer and user understanding to capture their wants, needs, aspirations and even their emotional connection points. It was the reality of delivering a great user experience," David recalled. "This framework for gaining real customer insights was a breath of fresh air." It was so refreshing, in fact, that David bought projekt202. The trustworthy methodology developed by Peter -- now the company's Chief Experience Office -- is used by projekt202 today to help companies and organizations deliver better digital experiences for people everywhere. Along with David, executives from AIGA Dallas, Launch DFW, Women Who Code Dallas, Big Design Events and the Dallas Entrepreneur Center discussed their key moments of UX enlightenment. 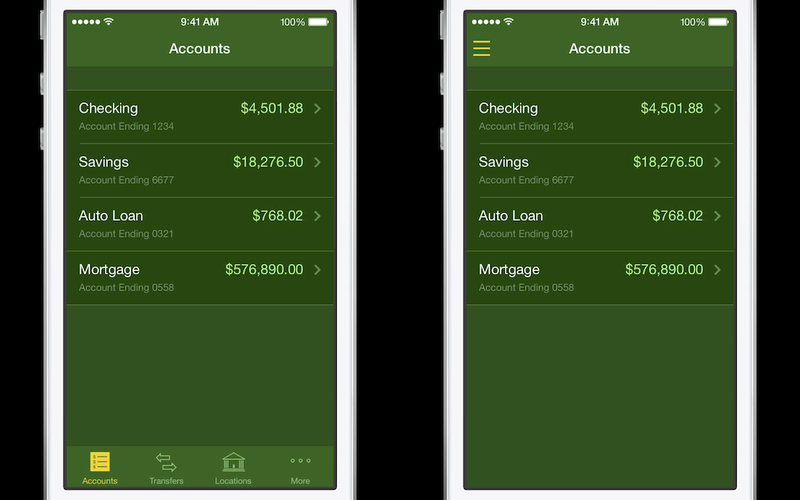 Compelling user-experience stories also liven up "Expose UX." In each episode, startups make their best product pitches to a panel of local UX experts; panelists have included projekt202's Vice President of Customer Experience Jeremy Johnson and Senior UX Designer Chelsea Maxwell. Participants receive useful feedback and, if their pitches are strong enough, a variety of prizes. As one producer described the show, "It's 'Shark Tank' for design." The Celebrate UX event in Dallas was the kick-off to the "Expose UX" Kickstarter tour, as well. 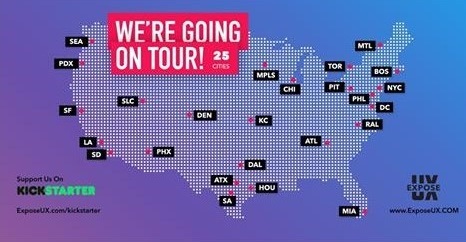 The TV crew will travel to 25 U.S. cities to showcase its program and, no doubt, capture more UX "aha!" moments along the way. Fast-growing projekt202 has announced senior leadership promotions on its Austin team. Michael Blakesley has been named Vice President of User Experience (UX), Dennis Van Huffel is Austin's new Director of UX and Paul Tidwell steps up as Vice President of Technology. Co-Founder and Chief Experience Officer Peter Eckert will take on added responsibilities as projekt202 Ambassador, increasing his industry outreach to actively promote the company's programmatic, observation-based methodology. Peter will drive strategic guidance for clients and present his renowned, industry-defining insights on national and international tech stages. What's the cure for health care's stagnant status quo? Creating change and disruption through technology. That was the focus of the 2016 More Disruption Please Austin Hackathon, presented by athenahealth. Recognizing the robust opportunities available for innovation, the April event brought together forward-thinking experts to prescribe tech solutions for the health care industry. projekt202's Amber Lindholm, Director of Experience Strategy and Insight, served as featured speaker and judge, along with leaders from athenahealth, Dell Medical School and Patient IO. With $6,000 in prize money at stake, teams strategized and made health care tech pitches to the judging panel. Winning teams were Hemolabs for best overall health care technology solution, DxMachina for best use of athenahealth API and Remedi for the best inpatient solution. Join projekt202 on Thursday evening, May 12, for the Expose UX Kickstarter Party in Dallas' Deep Ellum. It's an opportunity to meet, mingle and network with fellow technology, design, development and UX professionals. projekt202 CEO and Chairman David Lancashire will be a featured speaker and panelist, along with North Texas-area user experience professionals sharing their UXpertise. This May 12 event is the kick-off to the Expose UX team's 25-city U.S. tour. 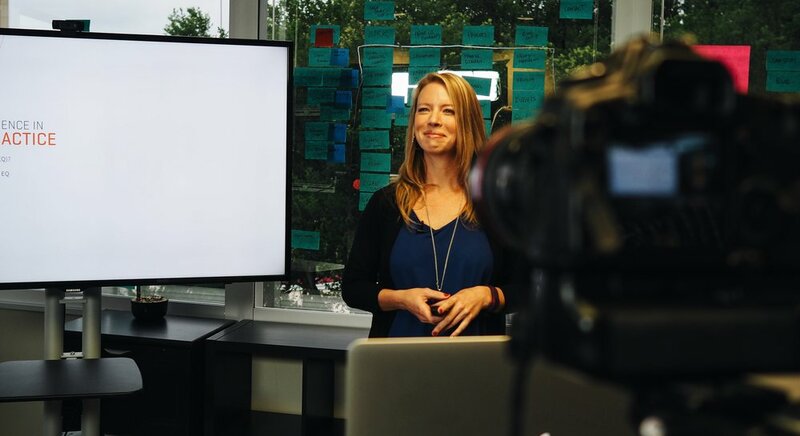 Produced in Dallas, Expose UX is a TV show where startups make their company and product pitches for prizes, while receiving in-person feedback from local UX experts. Get your free tickets now while supplies last. Over the next few years, many advancements in technology will unfold and dramatically shift our behavior and expectations in society. Just look at the IoT, the Industrial Internet, autonomous driving and flying, virtual and augmented reality, wearable devices, biometrics sensors and implants, among others. It is on us to bring these things together in a meaningful way. Welcome to the Experience of Things. An operational technology distributor decided to change how enterprise resource planning (ERP) software is built and used in the marketplace. Over the course of the global company’s growth, its existing ERP software had fossilized into a cumbersome, difficult obstacle. Inconsistent user experiences began negatively affecting sales as more niche-focused competitive threats emerged, increasing pressure on the firm’s R&D. Observing over 200 core ERP users across 12 countries in more than 60 enterprise environments provided projekt202’s Experience Strategy and Insight and UX team with a wealth of key insights. For instance, while most users had difficulty learning and using the software, the two largest issues were process awareness and communication. Most enterprises using ERP solutions also experienced inefficient use, long training times and high staff turnover. From this comprehensive data, projekt202 created eight company-wide personas to emphasize users’ needs. Workflow models for each gave teams more insight into persona needs. New navigation frameworks were validated with users before core development and platform planning began. Tools and concepts were created for communication and process awareness. projekt202 also created and presented design guidelines, principles and themes to the client's R&D team. Tools built for the new ERP solution became omnipresent across the client platform. The R&D team was trained on projekt202's methodology, now an essential part of the team’s strategy. Interactive design resources and pattern libraries are used throughout the organization to drive marketing efforts and further increase growth. More than five years later, projekt202 continues its successful design and development partnership that grew out of this initial project. With its experience-driven design research methodology, projekt202 was asked to improve key workflows for high-revenue products and establish a design-thinking approach within the enterprise organization. To gain insights into core users, projekt202’s team observed IT administrators, revealing that more than half of the applications were controlled by third-party development teams. In addition, many products had overlaps in functionality. projekt202 also conducted a visual design exploration that would become the foundation for the company’s enterprise design language. This created a new look and feel to apply to an initial set of core products, showcasing their scalability and flexibility. Applying its synthesized data from direct user observations, projekt202 built a new navigation across large portions of the application suite. The team also created an online repository to facilitate the new enterprise design language and its patterns. With these guidelines, the client established requirements for all third-party teams, which formed a more streamlined, cohesive and integrated suite of applications. When presented at an industry conference, a new dashboard solution based on projekt202’s design research caused an immediate sensation. Sales demand doubled as customers eagerly anticipated its release to market. Development strategy and priorities reflected the huge interest generated by the prototype’s unveiling. The sales and marketing divisions continue to rely on projekt202-constructed resources. Providing this superior user experience has led to a sustained design and development partnership between the client and projekt202. A leading investment and banking firm wanted to create a new standard for high-end trading by making its existing platform more user-friendly and engaging, allowing customers to become better investors. By observing the ways people researched and chose investments using resources from the client and its competitors, projekt202’s researchers gained several interesting insights. Customers wanted to feel powerful and in control by having the ability to customize the system to suit their needs. In particular, men wanted the trading platform to look complex, sophisticated and important so they could impress their spouses. This vital emotional factor – which would have been overlooked by standard market research – was discovered through projekt202’s unique, contextually-relevant observations. Based on these user insights, projekt202 recommended a new infrastructure that supported a customized trading solution to fit customers’ practical and emotional expectations. It needed to balance stability, familiarity, flexibility and reliability; maintain current customers’ loyalty; and add new generational users. projekt202 worked with the client’s development teams to create multiple concepts for the application’s UI framework. A fresh look emerged to complement the newly-designed tools. Throughout development, projekt202 and the client worked together to integrate controls and tighten layout and interactions. This partnership created a world-class application that was stable, secure, efficient and fast. The innovative application achieved a 97% adoption rate in the client’s first quarter. It was also recognized in the trade media and by renowned industry analyst firm Gartner for its outstanding, forward-thinking design, development and adoption. TL;DR:We downloaded 10,000 mobile apps this year and we’re sharing insights on how we found them, examined them, lessons we learned about building apps, and a heuristic checklist for how not to screw up your own mobile app dev. ‘Creatures with creations and their segregation of joy‘ is the title of a design research on how to embed movement related to expression and emotional release in a daily life. Due to multi functionality of computers and their expansion most people spend their working hours while siting behind a computer. By making an office chair based on the dynamics of the body and linking these body movements to the control of the interface, work can become dynamic and expressive again. An attempt on integrating joy. Although the technology currently only allows for the operation of a cursor, the designer hopes to extend the idea so it works with the full computer interface. The prototyping of the chair was done in collaboration with Sami Sabik. Apple details to developers (and designers) how they feel about the stacked menu and why it’s lazy—no cupboard stays free of clutter. Thinking about content strategy and information architecture will be of much better benefit than a catch-all menu in the corner that people wish not to interact with. Google is finally taking a stab at reducing Gmail clutter with its brand-new app, Inbox. The app uses context and its considerable smarts to automatically group and tag similar items, serve up location-sensitive reminders, and snooze messages to be answered later. It’s more or less the Google Now of mail. Using hand-picked fonts from the Google Font project with text from Aesop’s fables showcases beautiful type design (that’s free) with great wisdom (that’s public domain). Go Webtype! It seems like it might finally be the future—hoverboards are real. Hendo has created a Kickstarter for both their hoverboard and their more stripped-down developer kits, and are well past their initial goal of $250,000. Set to go to market on October 21, 2015—just in time.